Several taxpayers diligently file their tax returns but forget to verify them. They believe their return filing process is complete once return has been duly submitted to the income tax department. Step 3: Final return processing by the tax department i.e. refund is processed or intimation under Section 143(1) is received. Taxpayers who do not verify end up with incomplete filings. A refund, if any, is not processed in such cases. Returns can be verified either electronically or by sending the physical ITR-V to CPC, Bengaluru. ITR-V is a one-page document, emailed by the I-T department to you; it can also be downloaded from the department’s website. ITR-V must be signed in blue ink and sent via ordinary or speed post to CPC, Bengaluru. You cannot courier the ITR-V. Sending the physical ITR-V involved a lot of problems. With the introduction of electronic verification, your return can now be verified easily and quickly. There are several ways to verify your tax returns . To begin, log in to your e-filing account with your PAN and date of birth. Click on ‘e-File’ from the blue top bar. There is an option under it, ‘e-Verify Return’; select it. Select one of the options listed to e-verify. This option is available to taxpayers who have a total income of less than R5 lakh and there is no refund. A 10-digit alphanumeric code is sent to their email id and mobile number, registered on the tax department website, which is valid for 72 hours. If you don’t have a refund, you can also e-verify via an Aadhaar OTP. Your Aadhaar card must be linked to your PAN on the e-filing website. The OTP is sent to your mobile number registered with Aadhaar and is valid for 10 minutes. Those with an income of over Rs 5 lakh, or with a refund, have to use net banking to e-verify returns. If your bank is authorised, you’ll be able to log in to e-filing through net banking. First, log in to your bank account and look for the e-filing option. When you confirm to e-verify, an EVC will be automatically generated and applied to the return; your e-verification will be complete. Don’t assume the refund will be credited to the net banking account you have used to e-verify. It is credited to the account selected for refund in your tax return, which may be different from the account you used to e-verify. 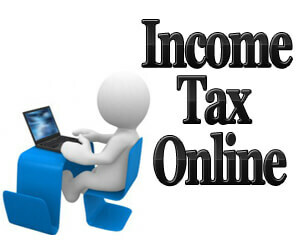 You can also verify your tax return through your bank account number by logging in to the income tax department website. You bank account number must be pre-validated. To validate, you have to select your bank name, enter the bank account number, IFSC and mobile number, and validate it on the income tax department website. The department has issued a circular giving a final chance to taxpayers to put their past tax returns in order. If you had submitted your tax return for the past six years from AY 2009-10 to AY 2014-15, but the return could not be processed for want of ITR-V, you can e-verify it by August 31, 2016. The department shall process such returns by November 30. This will help put your past records in order.